We offer 2 weekly party cruises. Please Note: Persons must arrive for processing at least 30 minutes before the tour’s departure time. The boat will leave on time. 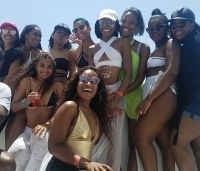 Persons, who have missed the boat thereby voiding their tickets will have the option to pay a JA$2,000 postponement fee to book a new date to take the tour. No smoking on the boat! Dress appropriately or you will not be allowed on board. The minimum acceptable dress for ladies will be a proper bikini. *you must present valid I.D. at the dock to show that you qualify for a discounted ticket. Now you can do something really different and special with your friends. 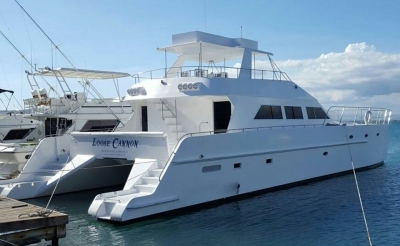 Join us on the Loose Cannon, our 69-foot power catamaran. 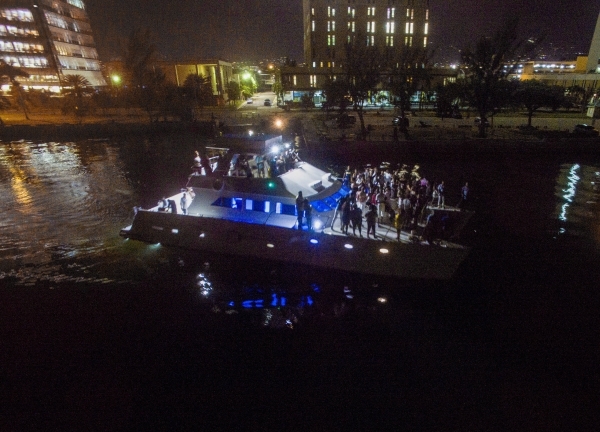 Kingston’s real party boat, with a fabulous sound system and live DJ who keeps the party hopping. Food and drinks included. You and your friends will have a blast, and take some of the most beautiful pictures while experiencing something new. Join our Friday evening party cruise or our Sunday beach party with your friends. Tell them to buy a ticket to join you and the rest of your crew for a special time out on the water. Remember our group discount gives you 1 free ticket for every 10 you buy. 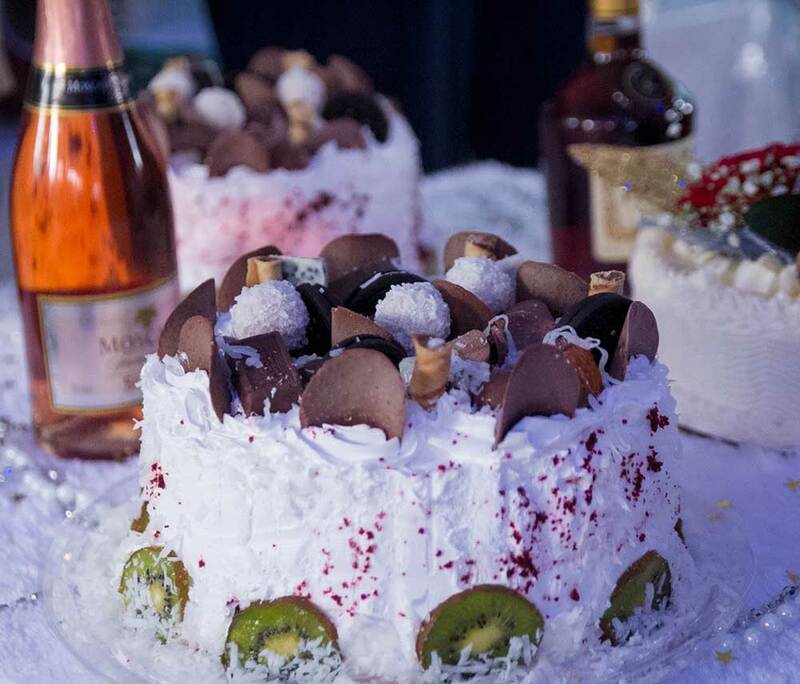 Celebrate your birthday in style this year with all your friends. Tired of the same old thing? Now you can do something really different and special to celebrate your birthday. 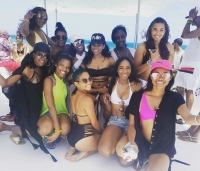 Take your friends out to celebrate your special day on the Loose Cannon, our 69-foot power catamaran. Kingston’s real party boat, with a fabulous sound system and live DJ who keeps the party hopping. Food and drinks included. You and your friends will have a blast, and take some of the most beautiful pictures while experiencing something new. 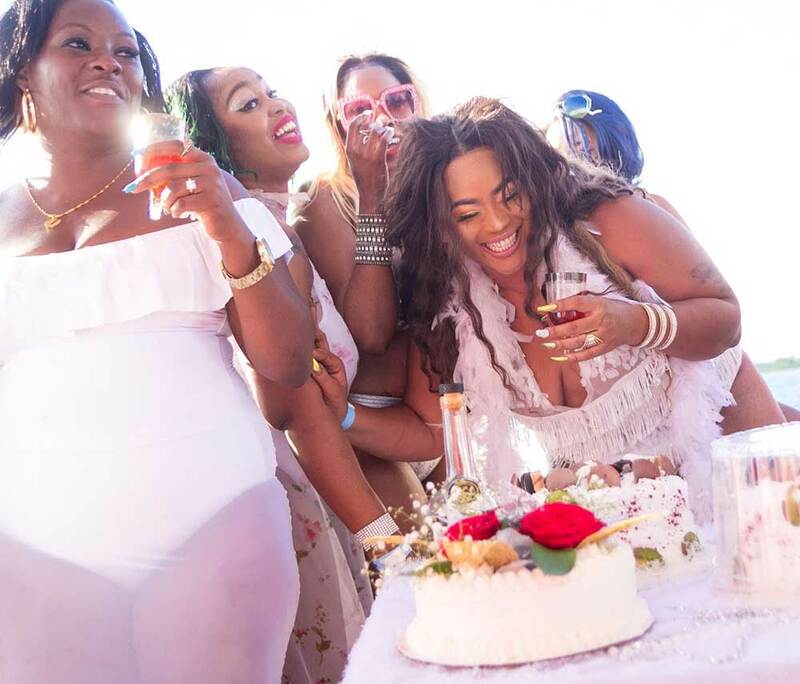 Join our Friday evening party cruise or our Sunday beach party cruise with your friends and take your birthday party to the next level. Tell them to buy a ticket to your party and you will buy a ticket to theirs. Our group discount gives you 1 free ticket for every 10 you buy. At the dock at the Grand Port Royal Hotel in Port Royal just before sailing GATE PRICE JA$1000 more than presold so buy early and save. If you prefer to charter, we have 3 yachts available. 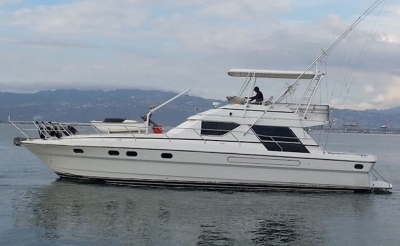 “Jus Chillin” our 35 ft Princess takes up to 15 people is US$1,200. “Jus Chillin ll” our 55ft Princess that takes up to 25 people is US$1,500. If you are planning to have 31-63 people on board simply multiply the number of people you plan to have on board by US$60 to know what you charter rate will be. Once you have figured out your charter rate just add US$100 which is the cost of our DJ. Given the value of our sound system, our DJ must be present when it is being used whether or not he is playing. This will not apply if you are playing your music from a device like a phone or iPad. The charter rates above are for 4 hrs however you can make arrangements for additional time. 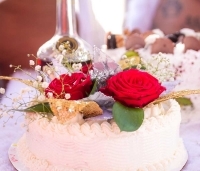 We can cater the food and drinks listed above for an additional US$25 per person if you want us to provide that service. We only cater food and drinks on the Loose Cannon. We require a 50% deposit to make a charter booking with the remaining 50% being due for payment at least 24hrs before sailing time. 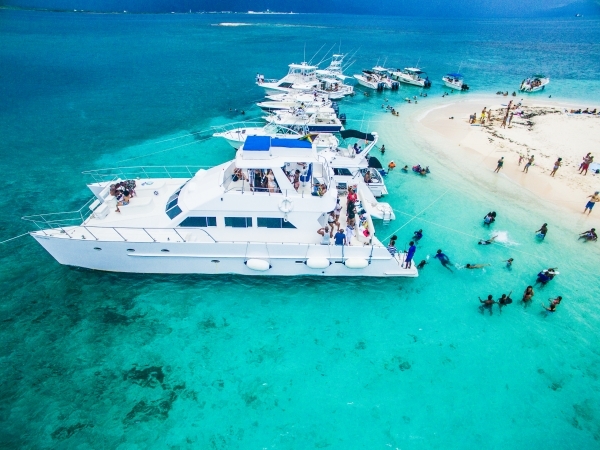 To have fun with your friends and family on the water, you can either charter one of our boats for an intimate setting or just buy the number of tickets you need to join the party on the Loose Cannon. Whichever option you choose you will have a great time. One person’s perfect day on the water differs from person to person. As a tour and charter company, cancellations with short notice are very costly. At the same time, we understand that things come up and we don’t feel it is right for you to lose your entire charter or ticket fee if you have to reschedule. Our Cancellation policy is simple and strict, but fair. You may cancel your reservation at any time, but we DO NOT give refunds; rather we will credit your account for use another time. If you cancel with 7 or more days’ notice for a tour, there will be no penalty. However, if you cancel with less than 7 days notice or you fail to show up for your tour you will have to pay a JA$2000 rescheduling fee to go out with us on a future date. If you cancel with 30 or more days’ notice for a charter there will be no penalty. 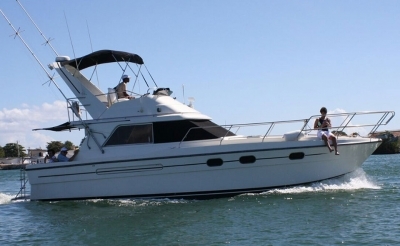 Any cancellation with less than 30 days’ notice for a charter, for any reason, will result in a 20% rescheduling fee. This fee will be calculated on the price of the charter. We do not allow cancellations for less than ideal weather. If the captain feels that the weather conditions are unsafe due to high winds, lightning or very heavy rain we will cancel the tour or charter and you will NOT be charged the rescheduling fee. We reserve the right to cancel any rental or tour at any time due to extreme conditions deemed unsafe or for other reason to ensure the safety and comfort of our patrons. Do you private charter boats? How do I pay for a party cruise? Fill out the form below with as much detail as possible and we’ll respond to you as soon as possible.